The brilliance of making tofu at home was suggested by my friends who were already making their own, but it took me a while to get on it as it seemed like such an arduous task. Yet once I started, I made 5 batches one after another. And then a couple more. 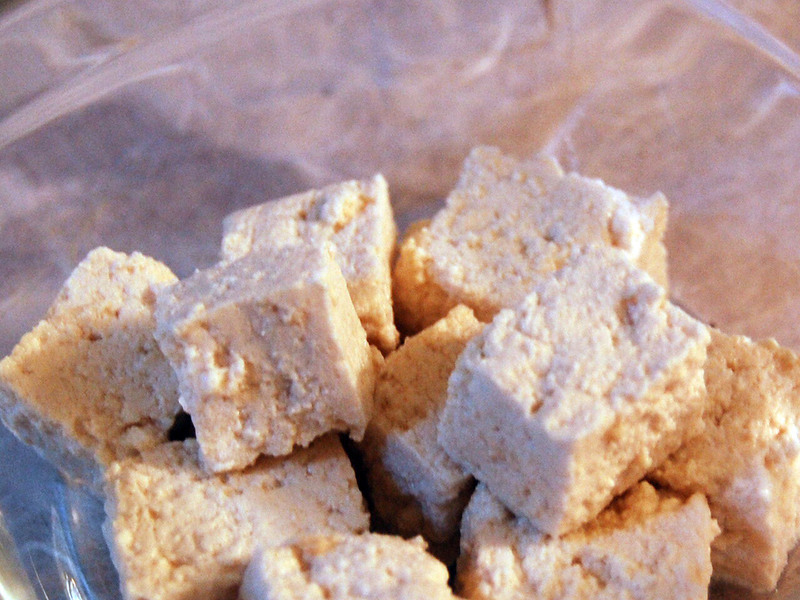 Then another… Its taste and texture remind me of ricotta cheese, but, obviously, made with soybeans. Tofu is curdled soymilk. Soybean protein and oil are coagulated with gansu (간수) or what the Japanese call nigari, “a mixture of magnesium and calcium salts left over when table salt, sodium chloride, is crystalized from seawater” as Harold McGee described in his book On Food and Cooking, The Science and Lore of The Kitchen. 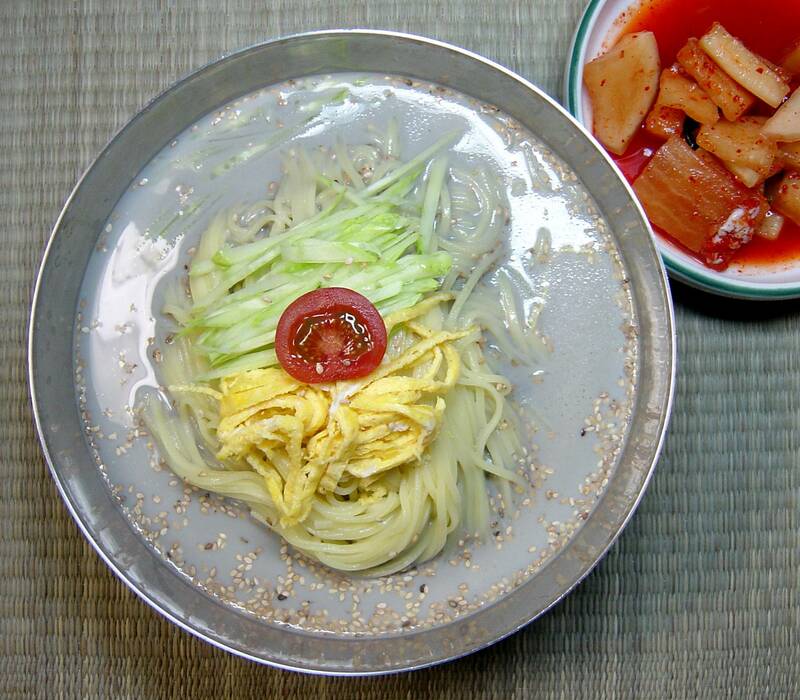 You can, of course, drink soymilk as is, or use as a base for kong guksu (콩국수; noodle in chilled soymilk), seasoned lightly with salt just to bring out its flavor. 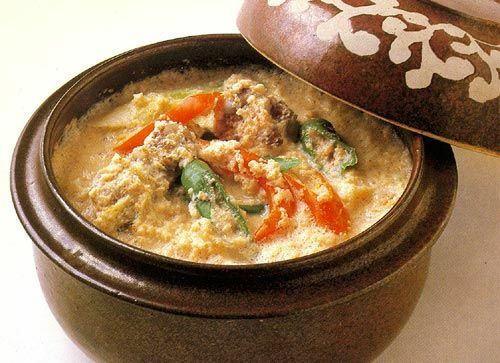 Soy(bean) pulp (비지; biji), also known as the Japanese term okara, is mostly used in biji jjigae (비지 찌개; stew using soy pulp, aged sour kimchi and pork as main ingredients) in Korea. However, biji or okara can be added to a wide range of dishes, bringing along all its soy protein, fiber and subtle nuttiness. I’ll discuss more about biji next time. La Fuji Mama has a very helpful post with a step-by-step instruction and pictures, which became the guide for my practice of making tofu at home. Majority of the instruction below follows La Fuji Mama’s post, with my notes added based on my own experience. I use lemon juice and sea salt together as coagulants, just because it’s easiest to find. There is a hint of citrus flavor if you try to find the trace of it in tofu. Also, you don’t need a thermometer with the instruction below. It is still work-in-progress as with most of my cooking projects, but here is what I’ve learned so far. 7) Line a strainer with a very clean cotton cloth, and pour the soybean liquid in order to separate soy pulp and soymilk. Once it’s cooled enough to handle, squeeze out as much liquid as possible. Cool soy pulp (비지; biji) to room temperature. Freeze it in a ziploc bag and shape it to a flat layer, which will make it easier to break and portion when it’s frozen. It’s usually gone soon after I make it, when it’s still warm. Should there be any leftover, it can be refrigerated for another day or so. Soy sauce will be enough to season this warm, soft crumbles of tofu. It’s a snack for me, often with some jalapeno pickles, sesame dressing or doenjang sauce (쌈장; ssamjang). It could be a banchan (반찬; side dish accompanying rice) as well. That’s it folks! What started out as ‘Tips for Making Tofu at Home’ with a couple of bullet points was heading towards ‘A Complete Guide to Make Soybean Products at Home,’ so I’m stopping here. Good day! Well if the soy is fermented you can’t go wrong!